We want English Teacher in Jeju. First time poster here. 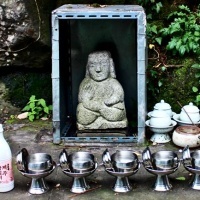 Wondering if anyone has any idea of ferries to Busan from Jeju. Are there any operating anymore or has that been discontinued? If they are still around does anyone know the rough costs of them? Repeats every day until Thu Mar 17 2016 . Repeats every day until Tue Mar 22 2016 . The Jeju Peace Forum was founded in 2001 with the goal of contributing to world peace and international cooperation in the East Asian sphere through multilateral dialogue and community building. The 2003 edition of the conference included President Roh Muu-hyun's official apology to Jeju Island for the 4.3 massacre and the 2007 Jeju Declaration envisioned a regional peacekeeping diplomatic role for South Korea based on the Helsinki Process. 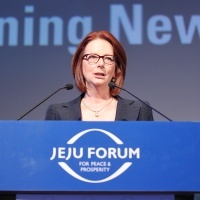 In 2008, with the election of the hardline right-wing Lee Myung-bak government, the foreign affairs ministry changed the name of the conference to The Jeju Forum for Peace and Prosperity and shifted focus away from co-operative agreements, bringing in big name speakers on themes unrelated to the peace process. A glance at the list of events, workshops and speakers from the 10th Forum held last May, full of washed-up politicians and discredited neoliberal economic themes, suggests a conference in search of an identity. Darren Southcott, editor-in-chief of The Jeju Weekly magazine, joins The Korea File to discuss whether or not the Forum has stayed true to it’s roots as a regional peace initiative.